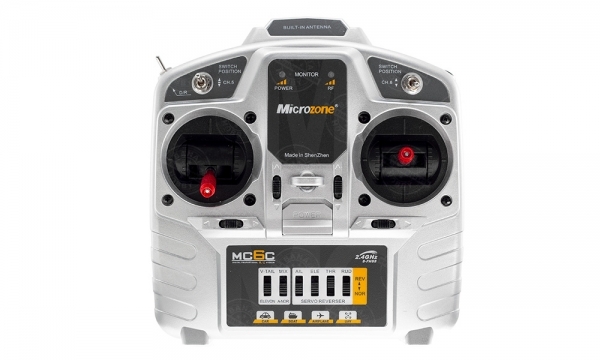 The MC-6C is the perfect radio system for the beginner to the sport flyer that just wants to go flying with no programming! A full function 6 Channel System with easy to set up servo reversing and model type right from the transmitter face using ‘Easy Switches’! The MC-6C is perfect for your gliders, warbirds, and even EDF Jets! This is the best choice for getting into RC flying! Great price and even better performance!